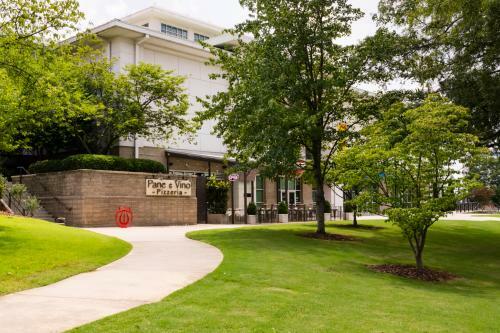 Gorgeous Alabama evenings are here, and Huntsville’s restaurants have you covered if you&apos;re looking for a spot to dine al fresco. 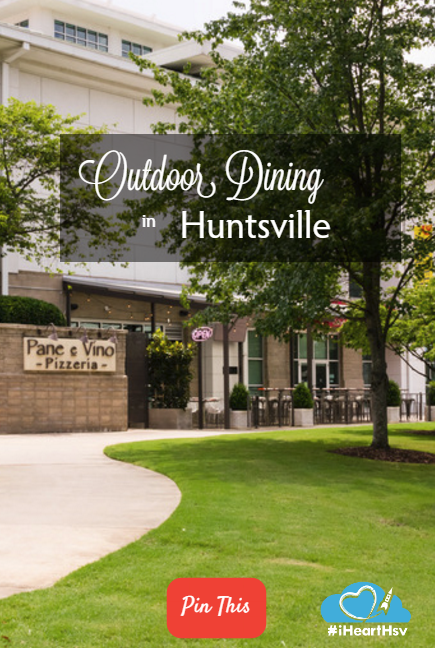 Pane e Vino is tucked into the ground floor of the Huntsville Museum of Art, and offers Italian fare overlooking Big Spring Park. Whether you are looking for a gourmet pizza, panini or a refreshing salad, the art-themed menu also has a selection of fine wines and desserts to round out your meal. Pane e Vino is located at 300 Church Street. If you are looking for something more family friendly, Sam & Greg’s Pizzeria serves pizza, local craft brews and unique gelato streetside at 119 North Side Square in a historic building dating from the 1800’s. 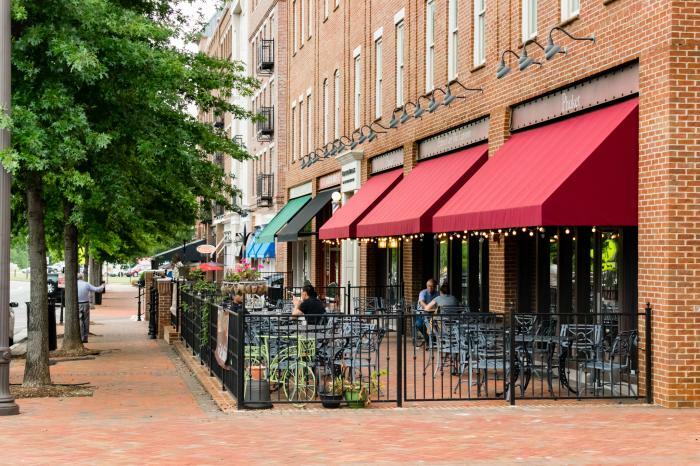 In "Downtown&apos;s Backyard" at A.M. Booth&apos;s Lumberyard, you can find an eclectic patio to enjoy everything from brunch to burgers to seared salmon and steak. This unique venue is also a great spot to grab a drink and enjoy live music. A.M. Booth&apos;s Lumberyard is located at 108 Cleveland Avenue NW. Big Oh&apos;s, 121 North Side Square, Korean-American fusion. Humphrey&apos;s Bar and Grill, 103 Washington Street NE. American sports bar menu. Cotton Row, 100 South Side Square. Upscale modern American cuisine. Commerce Kitchen, 300 Franklin Street SE. Southern-influenced American cuisine. 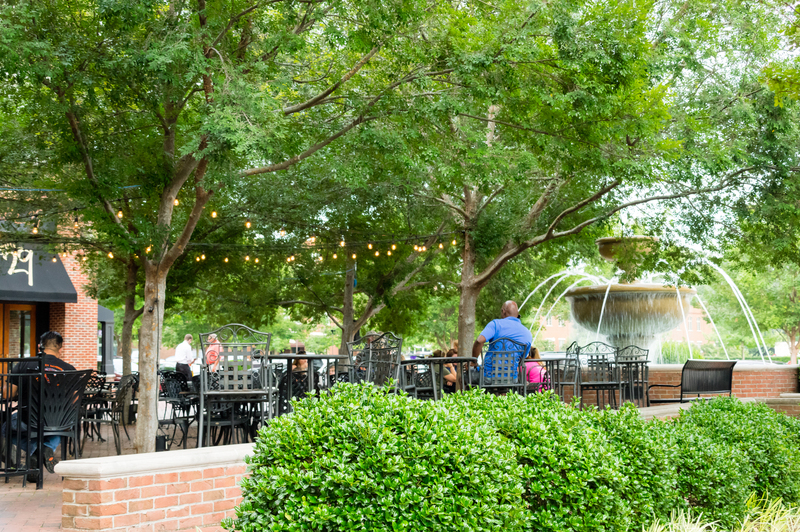 The Brickhouse Sports Café serves wings, burgers and comfort food on a shady patio next to the village water fountain. Locals vote this spot the best sports bar and best burger in Huntsville. Live music offers a tasty free side dish many evenings at 7 Town Center Drive NW. For more exotic fare, Chef Tukky serves the best Thai food in Huntsville at Phuket Thai Experience. The Panang curry will make you smile in satisfaction, but Phuket also offers traditional dishes, stir-fries and sushi served streetside at 475 Providence Main Street. Also in Providence: Moe’s Original BBQ, 445 Providence Main Street. Smokey ribs, pulled pork and other BBQ goodies. Mellow Mushroom, 470 Providence Main Street. Wings, salads and pizza. 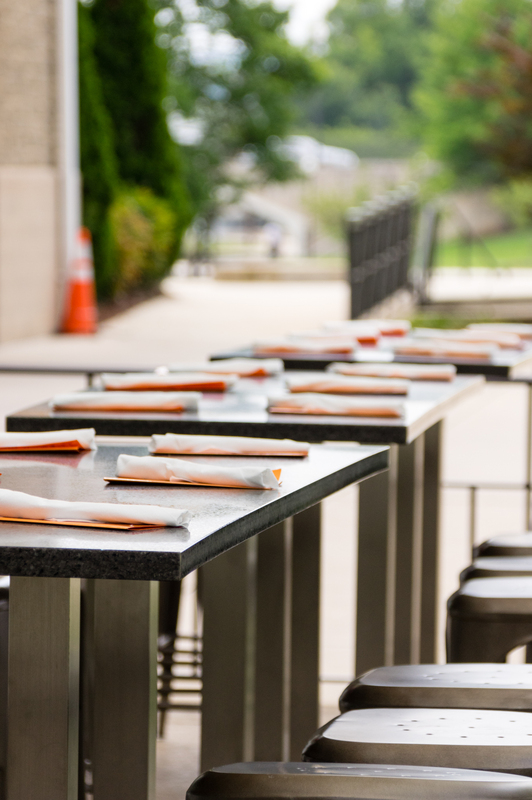 Let us know where your favorite outdoor dining spot is in the comments below!